Place the soap (chop up if in brick form) in the top of a double boiler and heat gently until melted. 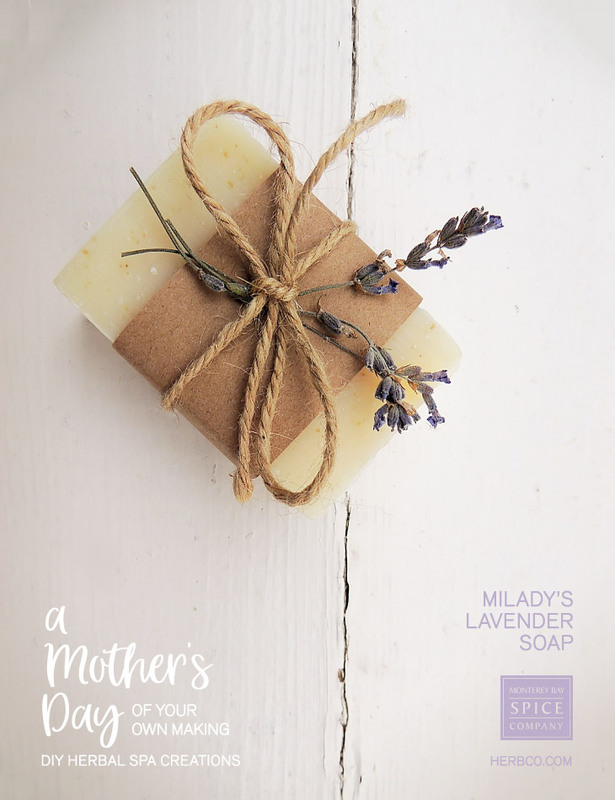 Remove from heat and immediately stir in the dried lavender and essential oil until well mixed. Pour into molds lightly greased with olive oil. (Tip: You may find it easier to pour from a measuring cup at this point.) Spray the surface of each soap with rubbing alcohol to eliminate bubbles and create a smooth surface. Let soap cool for 48-72 hours, or until fully hardened. Remove soaps from molds, wipe gently with a towel, and package as desired.